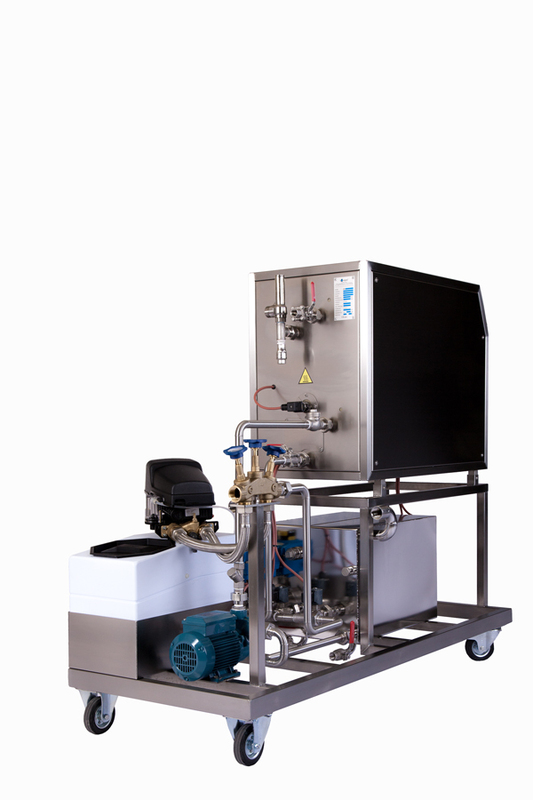 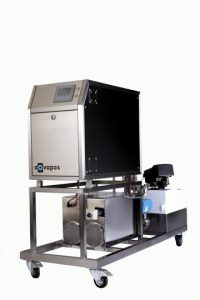 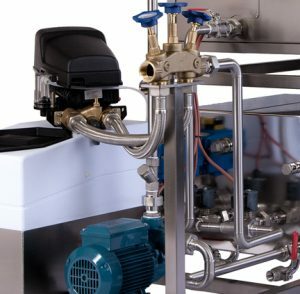 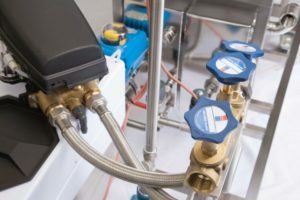 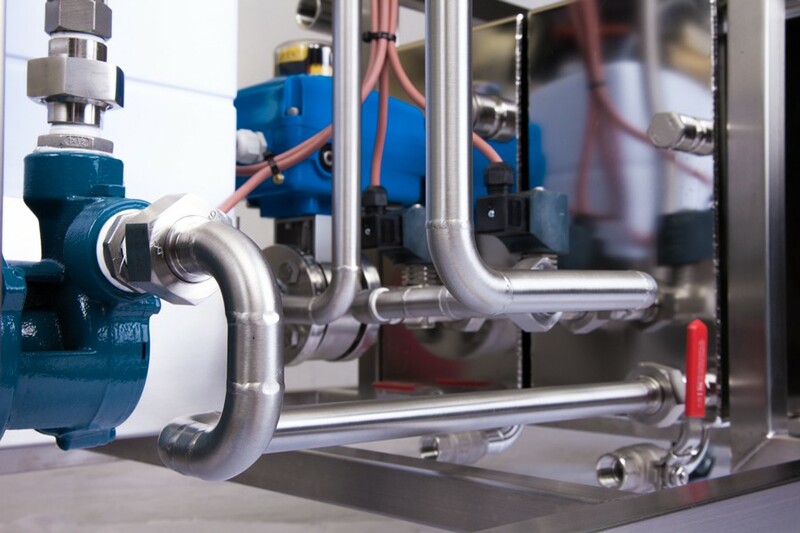 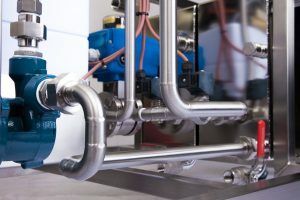 The aqvapos MM3 provides up to 28 kg/h of saturated steam with an operating pressure between 0 and 12 bar and a standard control accuracy of +0,02 bar or +- 0,02 bar in the “High Precision” mode. 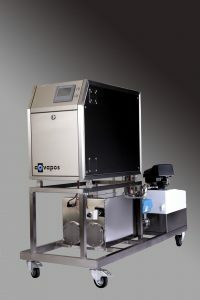 Front view: steam generator aqvapos MM3. Rear view: steam generator aqvapos MM3.